President Trump tomorrow will hold a listening session on prison reform, after six months of quiet exploration of the issue by senior adviser Jared Kushner (who turns 37 today). Why it matters: The White House sees this as a conservative issue (save money, cut crime) that could get bipartisan support (spending for workforce development), heading into a midterm election year when it'll be even harder to get congressional accomplishments than it was last year. Under the auspices of Kushner's Office of American Innovation, administration officials have met with faith-based leaders, former inmates who have been rehabilitated, conservative leaders, and experts on the issue. Attorney General Jeff Sessions will join Thursday's session. The administration is exploring possible legislative proposals and administrative actions. An early step could include a push for public awareness involving churches. The issue came up during this weekend's Camp David meeting with GOP congressional leaders. 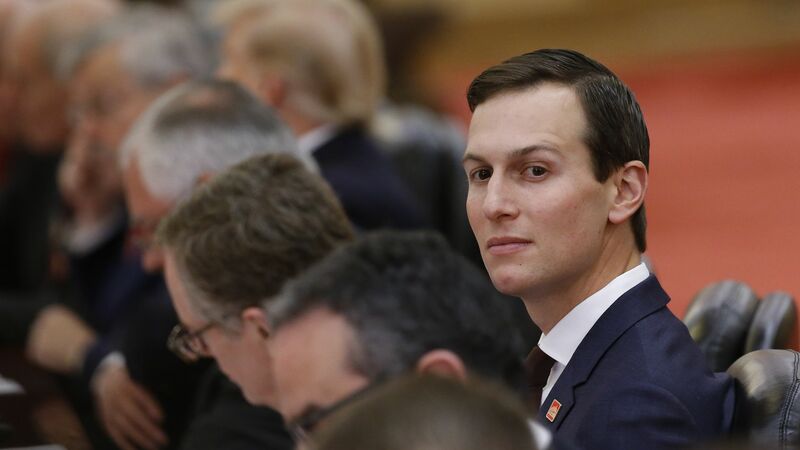 Koch Industries general counsel Mark Holden, a longtime champion of the issue, told me he has been impressed with Kushner's passion, and that the approach the administration is exploring "has been showed to markedly reduce recidivism." Be smart: The issue is personal for Kushner, given the former imprisonment of his father, developer Charles Kushner.